There are some books that get hidden. That are clouded and perhaps you do not hear many people speak of them. The Remains of the Day is one book that does not get spoken about as much as its movie counterpart. It is Ishiguro’s third published work and it is a delicately told tale from the point of view of Stevens – the English butler, told in his diary, as he works for Lord Darlington and his relationship with the housekeeper, Miss Kenton. The book goes back and forth – past and present to give the reader the complete view. A lot of social conventions, graces, manners, are spoken of and also the hypocrisy surrounding all of them. The writing is simply beautiful and very elegant, despite bringing to fore the ugliness sometimes. The Remains of the Day is one of my favourite books and I strongly recommend it. 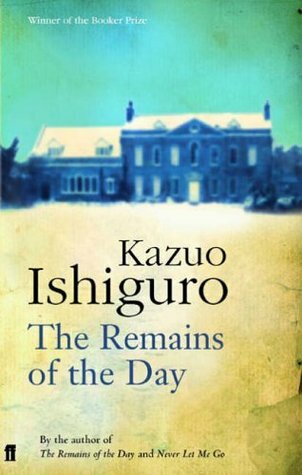 This entry was posted in 2000 Books, Books, Faber and Faber, Penguin Books and tagged 2000 books, 2000 Books You Must Read, English Manners, faber and faber, Kazuo Ishiguro, The Remains of the Day on March 18, 2014 by thehungryreader. This is almost a rare gem. Why do I say that? Because I really believe that when it comes to language and writing style, very few books can surpass this one. 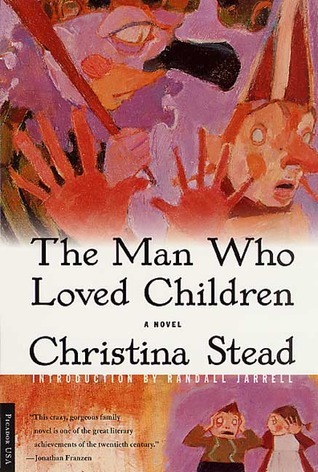 “The Man Who Loved Children” by Christina Stead is one of those books which will haunt you long after you have finished reading it. The book is about a large family – almost close to nine people (including the parents) and the parents living their lives through their children. Sam and Henny Pollit hate each other as a couple, and have too many children and too less money to take care of them. While Sam lives vicariously through his children and gets them to feed his ego, Henny watches silently, knowing that the end will be disastrous. That in short is the plot of the book. What makes it so unique that I recommend it? The plot and the story and the characters crawl through the readers’ skin. It is darkness personified. You cannot help but think of it and at some point, it drove me crazy trying to figure the behaviour and actions of some characters. The degradation of a family is so stark and obvious that your heart goes out to them and yet you cannot do anything at all. It is a brilliant portrayal of a family that has lost its bearings and does not know what to do. The book may not be meant for all but do read it if a dark family story interests you. This entry was posted in 2000 Books, Books and tagged 2000 books, 2000 Books You Must Read, Christina Stead, The Man Who Loved Children on August 30, 2013 by thehungryreader. The idea just happened to me. Out of nowhere. List making is something I love. It is something I cannot live without and no better list/s to make than that of books. Books you have loved and cherished over the years. Books that take you to a different land and transport you to places that you begin to call your own. Characters who make you laugh, cry and live a lot more than you would have thought of. Life in almost 2000 books and more. So here is my first recommendation, which I think you will love. I hope you do. Every day, I will try introducing you to new writers and books I have loved over the years. Happy Reading! I have three copies of this book. 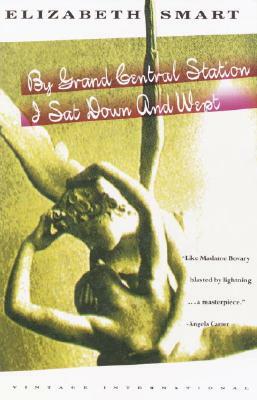 In almost all possible covers. There are more I am sure, which I might own at some time. 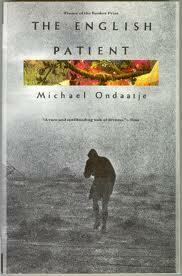 There is something about “The English Patient” by Michael Ondaatje that makes me want to talk about it and tell the whole world to read it. It is that good. Let me rephrase that. It is that brilliant. I cry every time I read it. Not because it is tragic (well that too) but the way it tells you about love and life. It almost will make you believe in love, all over again. Very few books are able to do that and this to me is on the top of the list. (This list is not by grade or rank though. It is very random). 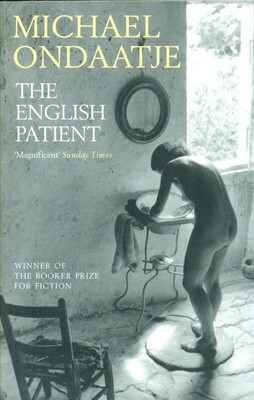 The English Patient by Michael Ondaatje is about three fractured souls, lost in a villa towards the last days of WWII and how they find themselves through an unknown mysterious patient, who is assumed to be English. Hana, a grieving Canadian nurse with a past of her own, the one which is closely linked to Caravaggio, the thief. There is also a Sikh sapper, Kip, who becomes a pillar for Hana and midst all this is the life of the patient, which he once shared with the love of his life. Everything is fluid in this book. It is almost dream-like and guilt and anger that seethe beneath the story of love and war. 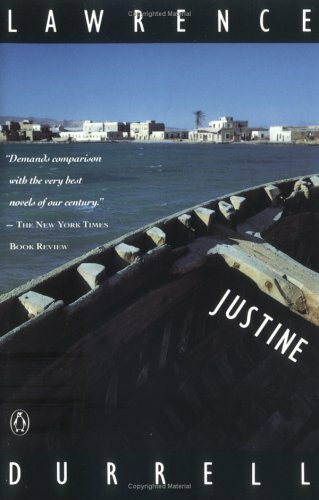 Ondaatje uncovers every single emotion and dissects it like an expert – he makes it possible for the reader to feel. It is almost as if he is a writer, with the soul of a poet. The sentences are magnificent. The words are like none other – something you cannot let go of. The book will demand that you reread it and perhaps you will. This is my fourth time by the way. “A postcard. Neat handwriting fills the rectangle. Half my days I cannot bear to touch you. The rest of my time I feel like it doesn’t matter if I will ever see you again. It isn’t the morality, it’s how much you can bear. 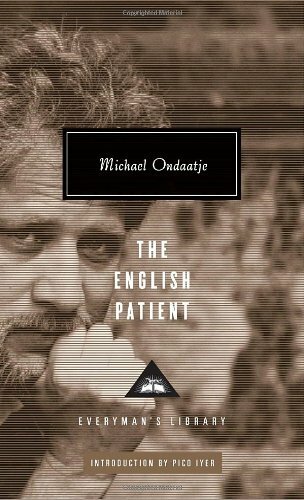 This entry was posted in 2000 Books, Books, Literary Fiction and tagged 1st book, 2000 books, michael ondaatje, the english patient on August 24, 2013 by thehungryreader.